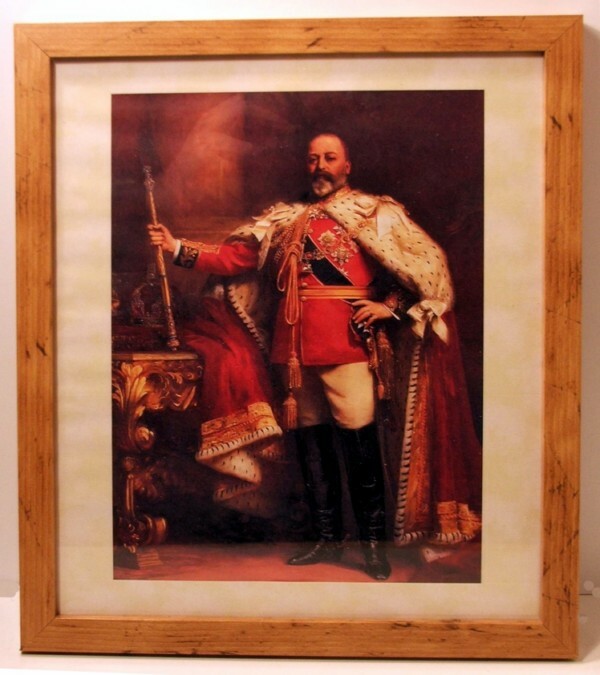 A framed coloured picture of Edward VII. Every Edwardian school should have one! The picture is supplied with 18mm wide MDF frame with attractive rustic wood finish, and contains acrylic "glass" for safety reasons.. On the back of the frame is a strut, so the portrait can be stood on a table, or it can also be hung on a wall. Size 285mm x 335mm.